When we think about the 2008 Beijing Olympics, what comes to mind? You might first shout out “Michael Phelps” and cite the swimming legend’s eight gold medals. Or you may say hooray for American gymnast Nastia Liukin’s marvelous performance. My Chinese friends probably will cheer for the wonderful culture that was clearly expressed during the opening ceremony. But my memory of this summer goes beyond these. I not only watched the Olympics in my home country and my city, but I also marched more than 50 meters through the streets of Beijing with the Olympic torch held aloft in my hand. And that distance, short but precious, was the most meaningful run of my life. First, some background. I graduated from Chaoyang Foreign Language School in Beijing and came to the University of Virginia in August as a first-year student. During my high school years, I participated in many student activities and devoted myself in particular to lots of environmental sciences studies. For example, my interest in environmental awareness helped me conduct a field study in the Inner Mongolia area (northwestern part of China) about grassland degradation and its influence on social and ecological development. 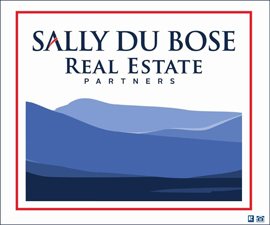 I felt particular interest in this topic because we cannot make better living conditions with the current environmental crisis, nor can we expect true economic development unless we figure out how to find balance between that development and protecting the environment. I’m not a policy maker—just an ordinary student—but I can still use my knowledge to do something for the community around us. My participation in environmental studies also links to my involvement with the “Green Olympics,” which later became a significant factor in my selection as a torch bearer. The Green Olympics was one of the three themes for the Beijing Olympics, along with humanistic and high-tech Olympics. According to the official Web site of the Beijing 2008 games, Green Olympics was designed to help China “prepare Olympic Games in accordance with the principle of sustainable development, which calls for the protection of environment, conservation of resources and maintenance of ecological balance,” as well as to “raise public awareness and leave a rich environmental heritage for both China and the world.” My understanding of this theme is that Green Olympics means building a greener city and a more environmentally friendly society to welcome the Games. 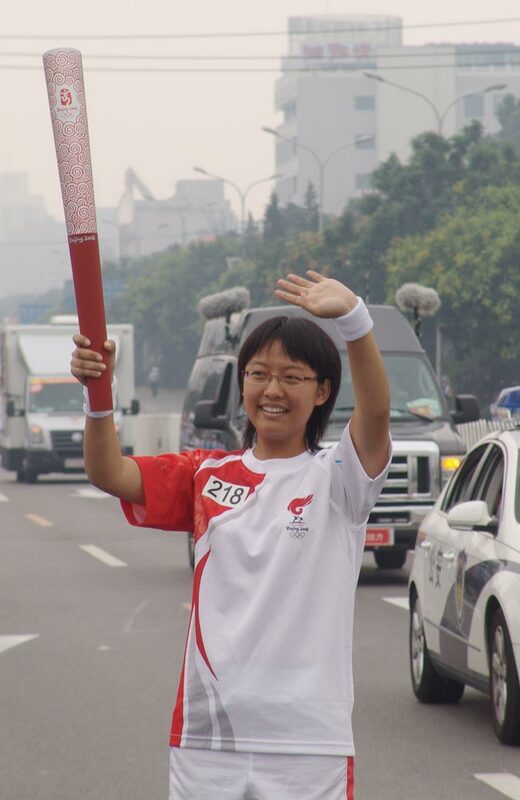 I was first nominated in the summer of 2007 to be a torch bearer by the Beijing Educational Committee. After that, I submitted an essay to the Beijing Olympics Committee and explained my interests and efforts in Green Olympics. That fall, I was informed that I had been selected as a torch bearer. I was almost crazy when I got the notification from the Olympics Committee because I suddenly realized that’s such a huge honor for me. As the Games grew near, I underwent some simple but important training, including how to carry the torch in the correct manner and how to pass it to the next torch bearer. On Aug. 6, two days before the official opening ceremony of the Games, I joined the longest torch relay since the tradition started in Berlin in 1936. Under the theme “Journey of Harmony,” the torch traveled for 129 days across more than 137,000 kilometers on six continents. I never imagined that I would be carrying a flame that originated at the ancient temple in Athens and has the ability to bring the world’s attention together. That’s a magical power. In addition to carrying the torch, I attended many of the Olympic events in Beijing. I saw tennis, swimming, gymnastics and diving, and fell in love with all of them. I loved the 2008 Olympics. People in China, especially in Beijing, did a really wonderful job, and I’m really proud of my country and my city now. My experience as an Olympic torch bearer was like a dream come true. The most important thing I took away from this experience was the passion and friendship that this event encompasses. It’s something about building a brighter world with the passion we have and walking together toward our shared dream. Min is a Jefferson Scholar who plans to study environmental sciences and economics.